HASSAD Australia’s remaining farm assets will be reportedly purchased by the agricultural arm of the Macquarie Group, which owns and manages around 4.5 million hectares of farmland in Australia and Brazil. In August, the Qatar-owned Hassad sold its 47,677ha Telopea Downs Station for more than $70m to the large-scale South Australian business AJ & PA McBride, in what was described as the largest single farm transaction in Victorian history. The decision by Paraway (also rumoured to have been interested in the Telopea opportunity) to invest $13m for the heavily improved, 5300ha grazing property Moira Runda, in Queensland’s western Darling Downs, appears to have kick-started a wider push into the property market. In 2010, Hassad started amassing around 300,000ha of Australian farmland across Queensland, NSW, Victoria and Western Australia in a bid to guarantee food security for the Middle Eastern gulf nation. 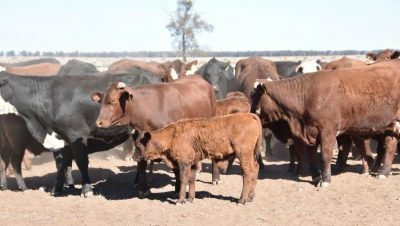 However the company changed direction two years ago when it off-loaded the 2632ha Kaladbro Station, near Strathdownie in south-west Victoria, to South Australian cattleman Tom Brinkworth for $24m. Eight months later, the 125,293ha grazing property Clover Downs Aggregation, in the south-west Queensland, followed suit, selling to well-known New South Wales cattleman, Bill Zell, for $27m. In August 2017, Hassad announced plans to diversify towards a food processing and marketing agenda and away from fat-tailed Awassi sheep production to service meat orders direct from Doha and other markets. More property sales followed. Hassad sold its 8560ha showcase Raby Station near Warren in central western NSW to a local consortium of buyers. The 3263ha Glendale and Ungarra Aggregations, near Clare in South Australia’s mid-north, sold for $16.2m to local adjoining and nearby farmers. It is understood that Macquarie has offered around $300m for Hassad’s remaining 104,000ha of prime farming land in Victoria, New South Wales and Western Australia. 677,964ha Rocklands – a calf factory breeding property near Camooweal on the Barkly Tableland in north-western Queensland. 1.02m ha Tanbar – growing and finishing property in the Cooper Creek channels in South West Queensland. Also in 2016, Paraway outlaid about $100 million on premium grazing country in the NSW New England region. It has been reported the Hassad deal, which would include 47,500 cattle, has been approved by the Foreign Investment Review Board.